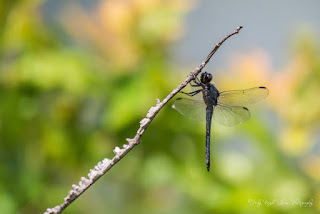 The thing I love about dragonflies is they come back to the same perch time and time again like hummingbirds do. It makes it so much easier to photograph them. It just takes patience. This particular dragonfly usually landed repeatedly on the top of this branch. I guess he tired of doing so and decided to hang on it. Here is another photo from my shoot with my friend Heather. 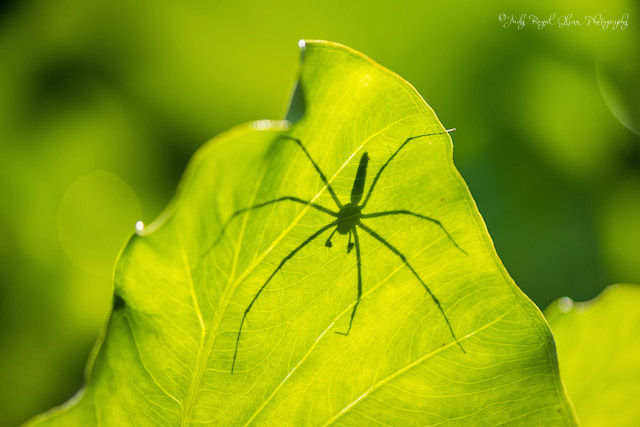 Since she had her macro lens, she was looking for tiny details and noticed this spider was missing a leg. She was my spotter and constantly found things for me to photograph. What I love about this photo is the bokeh. Our Royal Caribbean cruise ship, the Independence of the Seas, stopped at Labadee Haiti. My family went back to the ship, but I am glad I decided to stay and photograph the beach. 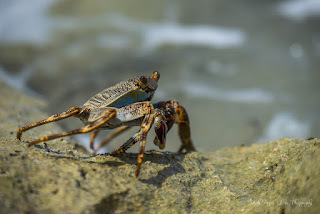 The Lord provided an immature Sally Lightfoot Crab (Grapsus grapsus) for me to photograph. I followed it along the rocky shore for quite sometime. This is one of my favorite photographs. 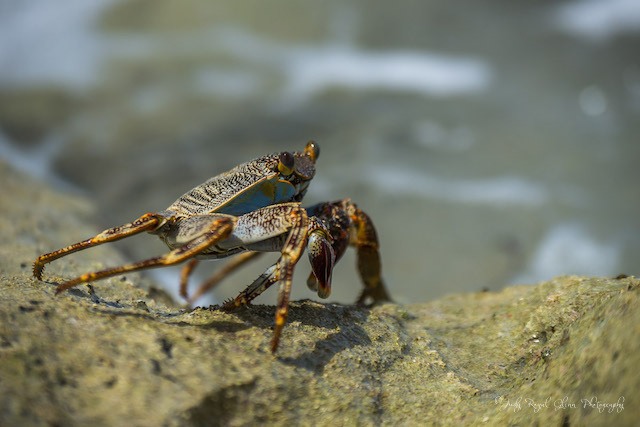 As an adult, these crabs have striking colors such as blue, red and yellow. 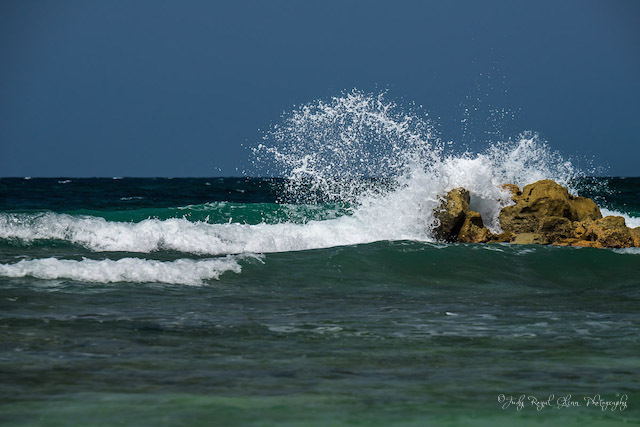 Haiti's shores were a mixture of beautiful white sand in some places, whereas other spots were extremely rocky. My family had already gone back to the ship, but I enjoyed photographing the beach. I loved the beautiful blue water splashing on the rocks. 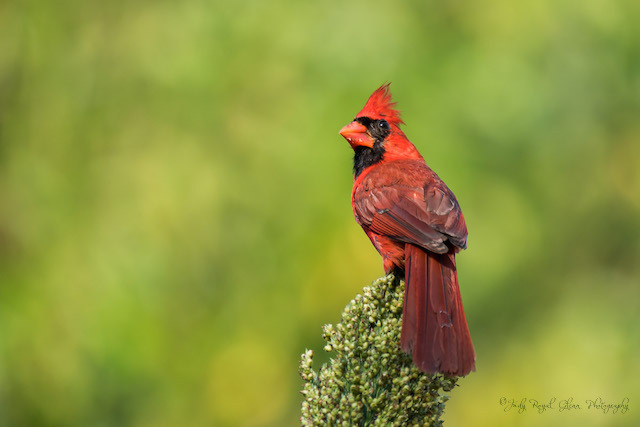 I went with my friend Heather to the State Botanical Garden of Georgia to photograph hummingbirds, but this cardinal wanted his portrait taken on top of the sorgum instead. 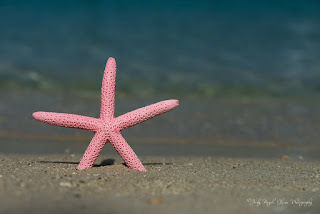 This starfish originated in the Philippines, then was exported to the United States to be sold. I bought it and took it to Haiti so I could photograph it on the white sandy beach. I loved the crystal blue ocean!